The Diva's Weekly Challenge #119: "Ebony and Ivory"
It's all about balance with black and white enjoying equal space...I love that! These are both so adorable, so creative. 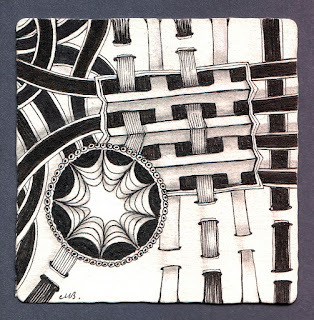 I love the way you weave the patterns together. Very, very nice! Perfect use of pattern to demonstrate and produce the beauty of contrast! I love the designs you have created! Its so beautiful! You have been one of the many artists who inspire me. I love your work. Could you please let me know the name of the tangle that looks like a leaf? 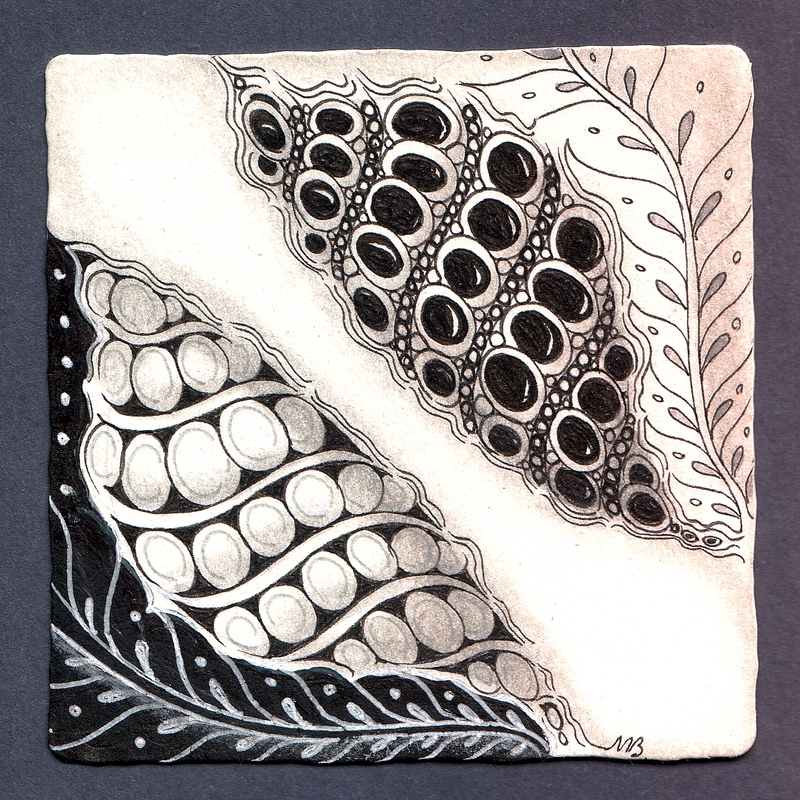 (On the first tile next to PURK). Ive seen you use this one very often...:) Gr8 Work! Thank you. 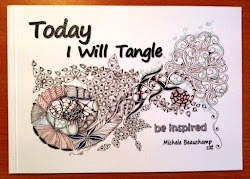 The tangle is called finery, one of my favourites! Oooohh....your tiles are so Fantastic! 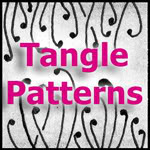 Great choice of tangles, and great balance! Love both, the first mirrored Purk/Finery is great, they seem to be flirting with each other, very sexxxxy! Second is FAB also, love the dangling Crescent Moon jewel! Beautiful Shelly, I am inspired but way to busy right now. It's planting season here in Canada. Lovely work, as always. Glad to see your signature style in these. Finery is a pattern that I never liked until I saw your version of it. Thanks for the inspiration. Great tiles! I love them. love your pattern choices. Both are gorgeous! Love the way you have married ebony and ivory together. Both tiles are so lovely. I enjoy following the ins and outs of the woven one and am inspired to try that. I really like both tiles, great use of the challenge this week. Oh, You are master of desing, I must say! Both terrific, but particularly like the first. I'm so impressed with everyone's contributions to this challenge! And you did it again; making such amazing art! Yes, you did it again, I agree with Anne. The first one is absolutely gorgeous. The second one is great too, but my eyes are automaticaly drawn to the first one. Beautiful! Both are lovely. 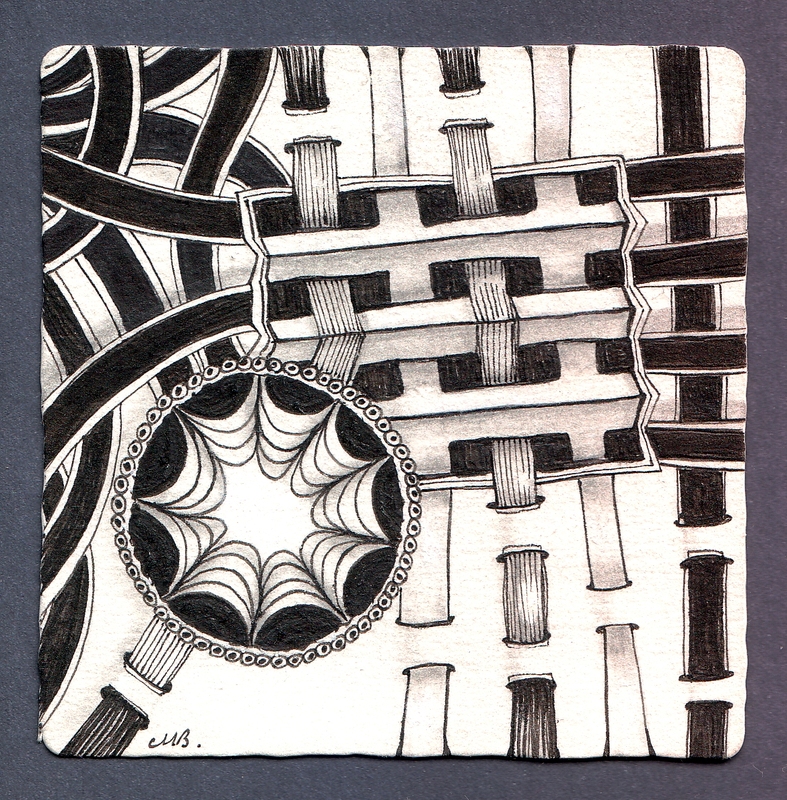 In the first one the black Purk really sparkles, and in the second one, I love the way you wove the black and white and how you morphed from one tangle to something different. Such beauty and grace! These are beautiful! Like them both but prefer the first one. I like the way that the darker Purk looks suspended over the other one. You amaze me with the perspectives that you create. Wow, oh wow!!! both of these are stunning! I specially love the lacing in the second one - where the band goes over Weben and have a crease.... you are so precise! Absolutely breath - taking. Very creative, both! Second one is fascinating. Lovin' it a lot. And you made all these strokes after being attacked by a wasp!?! Amazing.